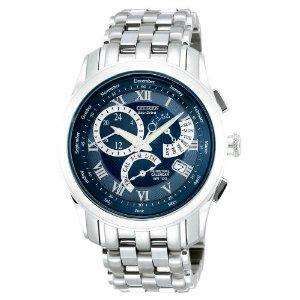 Don't wear a watch myself but this looks to be a good price hope it is usefull for somebody. expire. now £235 no deal here. Still £96.33 from amazon themselves but temporarily OOS, I have a ecodrive citizen and its rock solid, well worth their money. Good for half price but not in stock currently. Would have ordered if it was brushed rather than polished, heated anyway. I don't use a fleshlight myself, but here's a deal for one. Surprisingly pretty good watches, same company as Seiko. Might have to check this out. Great! Pre Ordered mine using the 20% off discount total paid £77. Might go for this, £77 is a huge bargain! Surprisingly pretty good watches, same company as Seiko. Might have to … Surprisingly pretty good watches, same company as Seiko. Might have to check this out. Totally different company to Seiko, no relationship there. ahh, i remember wanting one of these...settled for a Seiko 007 in the end...great watch for the money. Hmm, I got told they use they same movements. My mistake! I've just been emailed that my order from last night has been cancelled. Order got canceled because of misprice.. In our Conditions of Use and Sale (see amazon.co.uk/gp/…ml/?nodeId=1040616), we state that where an item's correct price is higher than our stated price, we will, at our discretion, cancel the order and notify you of that cancellation. Your order has now been cancelled. If you still want to purchase this item, please place a new order which will be charged at the correct price, when we dispatch it to you. Just when I thought I had a decent watch they canceled. Would have been a great watch at that price. Anyone get one at the cheap price? mine got cancel as well ..
is there any way we can challenge this?? mine got cancel as well ..is there any way we can challenge this?? Amazon cancelled my order. Wtf! It's gutting isn't it. I was really looking forward to getting mine. I can just see you reading the email, then we know what comes next "I don't belieeeve it!"